Riesiger Abopreis, die Bilder zeigen einen Auszug. (pos17764). Seltene Ausgabe Weihnachten in postfrischer Erhaltung. Souvenir Sheets Christmas mint never hinged. Riesiger Abopreis, die Bilder zeigen einen Auszug. Block Ostern plus Goldreplikat Ostern in kompletter Schatulle. Auflage nur 365 Blocks. RUMÄNIEN - ROMANIA. nach §25a UstG (Sammlungsstücke und Antiquitäten/Sonderregelung). können zusätzliche Zölle und Gebühren anfallen. Block Ostern plus Silberreplikat Ostern in kompletter Schatulle. Auflage nur 421 Blocks. RUMÄNIEN - ROMANIA. nach §25a UstG (Sammlungsstücke und Antiquitäten/Sonderregelung). können zusätzliche Zölle und Gebühren anfallen. 150,00 Euro Katalogwert laut Michel Dt. Spezial 2014. Block Weihnachten plus Silberreplikat in kompletter Schatulle. Auflage nur 425 Blocks. RUMÄNIEN - ROMANIA. nach §25a UstG (Sammlungsstücke und Antiquitäten/Sonderregelung). können zusätzliche Zölle und Gebühren anfallen. THERE ARE A FEW THAT MAY NOT STICK BUT MOST ALL ARE IN GOOD USABLE CONDITION. MOST SHEETS HAVE ONE OR MORE MISSING. 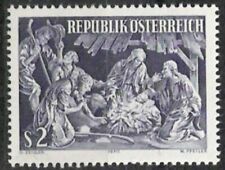 Karton mit über 700 Briefe u. Karten zum Thema Weihnachten überwiegend Christkindl. Sehr schöne Sonderstempel, Briefe, Weihnachtsmarken. Für Sammler eine Fundgrube! Neues AngebotKorea South 804-805,804a-805a,MNH. New Year 1971,Lunar Year of the Rat.Crane. Korea South 804-805, 804a-805a sheets of 3, MNH. New Year 1971, Lunar Year of the Rat. Japanese Crane. Gabon C180a sheet,MNH.Michel 589-591. USA-200,1976.Boston Tea Party,Battle. Boston Tea Party, Battle of New York, Demolition of statue of George III. 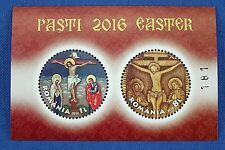 (Israel 2018 My Own Stamp - Passover - Mint Never Hinged (MNH). Sheetlet with 9 values (9v M/S): No Value Indicator x 9. You will be back for more! 3) Select each item and 'Add to Basket'. Auflage nur 411 Blocks. RUMÄNIEN - ROMANIA. nach §25a UstG (Sammlungsstücke und Antiquitäten/Sonderregelung). Design /Print: Letter 'H' Wearing a Santas Hat. Christmas Baubles. Christmas Collectables. Glass Coasters. Glass Placemats. Mug & Coaster Set. Mug And Coaster Sets. Tea Towels,Aprons, Etc. Christmas Island 359c-359f sheets, MNH. New Year 1994. Lunar year of the Dog. Neues AngebotSingapore 775a sheet,MNH.Mi 822-823 bogen. New Year 1997,Lunar year of the Ox. Singapore 775a sheet, MNH. New Year 1997, Year of the Ox. (Taiwan 2018 Year of Pig 2019 - Mint Never Hinged (MNH). Set of 2 values (2v Set): 6, 13. You will be back for more! 3) Select each item and 'Add to Basket'. Mayfairstamps 1968 Christmas New Zealand Christmas Tree FDC. We will combine shipping for Purchases. It is 10 cents for each additional item within the US & 25 cents for each additional item outside of the US. Please note that this does not apply to collections. Please wait for a combined invoice before making payment. Feel free to contact us if you have any questions. Please send all messages through eBay's messaging system. Mayfairstamps 1965 Christmas New Zealand Bible Versus and Bible FDC. We will combine shipping for Purchases. It is 10 cents for each additional item within the US & 25 cents for each additional item outside of the US. Please note that this does not apply to collections. Please wait for a combined invoice before making payment. Feel free to contact us if you have any questions. Please send all messages through eBay's messaging system. :- The item you receive may not be the item scanned, but will be of similar quality. Date of issue: 22 January 1990. No Exclusions. Condition: Mint Never Hinged. 700,00 Euro Katalogwert laut Michel S-Europa 2016. Mayfairstamps 1985 Christmas Brazil Mary Joseph and Baby FDC. We will combine shipping for Purchases. It is 10 cents for each additional item within the US & 25 cents for each additional item outside of the US. Please note that this does not apply to collections. Please wait for a combined invoice before making payment. Feel free to contact us if you have any questions. Please send all messages through eBay's messaging system. (Germany 2018 Christmas S.P. - Mint Never Hinged (MNH). Set of 1 value (1v Set): 70 30. You will be back for more! 3) Select each item and 'Add to Basket'. NAPT / GREETINGS 1955. PLANCHE TIMBRES VIGNETTES. ETATS UNIS. 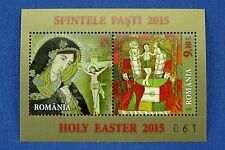 (Micronesia 2015 Year of the Ram - Mint Never Hinged (MNH). 3) Select each item and 'Add to Basket'. Korea South 804-805,804a-805a,MNH. New Year 1971,Lunar Year of the Rat.Crane. Singapore 775a sheet,MNH.Mi 822-823 bogen. New Year 1997,Lunar year of the Ox.